MPAA Takes Legal Action To Force ISP to Block Newzbin: “Three months ago, TorrentFreak discovered that the Motion Picture Association were about to make an unprecedented move against file-sharing in the UK. Their targets were ISP BT and Usenet indexing site Newzbin.com. In discussions the MPA refused to confirm our suspicions. Yesterday, however, the MPA went to court to obtain an injunction to have BT block Newzbin in the UK. In mid September this year, TorrentFreak received word from a previously reliable source and another anonymous one whose credentials we could not confirm, that the MPA/MPAA had the resurrected Newzbin site in their crosshairs. 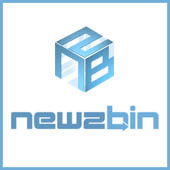 The first tip said that the movie industry would try to force UK ISPs to block Newzbin in the UK. The second was more specific – that target would be one of the leading ISPs, BT. After trying to gather more information, we contacted the MPA with what we knew and asked them if they could confirm our suspicions. At that stage, no information was forthcoming and Newzbin were also in the dark. The trail ran cold but in the last 24 hours the picture clarified somewhat. Yesterday, the MPA went to court seeking an injunction against BT in order to force them to block Newzbin2, the resurrected version of the original Newzbin which lost a High Court battle earlier in the year. In a statement sent to TorrentFreak, the MPA explain the process it has undertaken. ‘In launching this case, the MPA is aiming to secure an order that will enable BT to block Internet access to the site, thus preventing the site from using the Internet to make money through infringement,’ the MPA adds. In order for the MPA to obtain an injunction under section 97A it is believed that they must have approached BT already with a request to block Newzbin, but had it denied. At this stage, BT have confirmed they have received paperwork but refused to comment further. John McVay, Chief Executive of Producers Alliance for Cinema and Television (PACT), a UK trade association representing and promoting the commercial interests of independent films and television, welcomed the news. ‘This is just an application and not yet a decision of any court. We will be looking to instruct lawyers to fight this on behalf of our UK users. The MPA application to engage in censorship of the Internet for their own petty interests would, if granted, set a dangerous precedent in a Western democracy. Be the first to comment on "MPAA Takes Legal Action To Force British ISP to Block Newzbin"